Light overcomes darkness, just as our Faith allows us to shine our light and bring a beacon of hope to others. 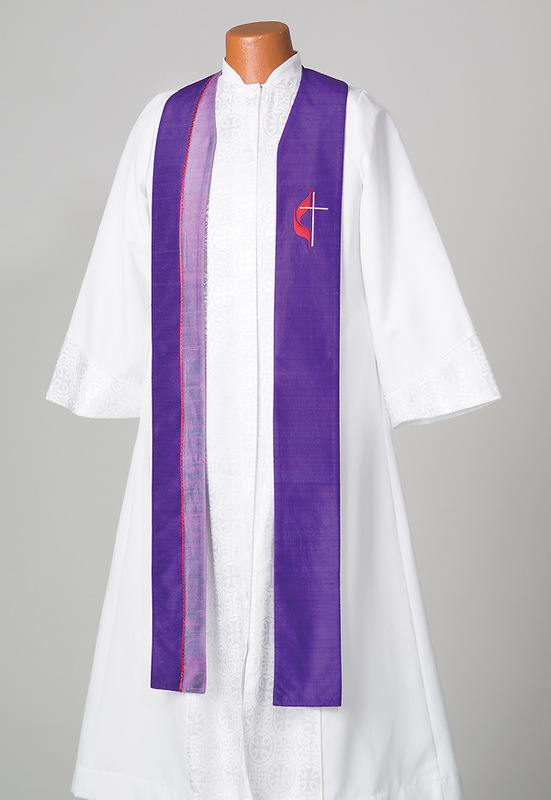 WomenSpirit's luminous stole symbolizes the contrast of light and dark along with the United Methodist Cross and Flame embroidered on the left side of the stole. Made in silk dupioni in two-tone hues of the liturgical colors. The curved design helps it stay put on your neck. Ships in 2-4 weeks if not in stock. Also available with UMC Bishops crest. Please call 1-800-237-7511 for assistance.